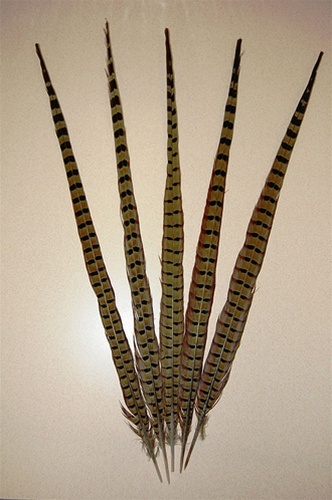 English Ringneck Pheasant Feather Tails. A very popular millinery item.Beautiful Natural look. 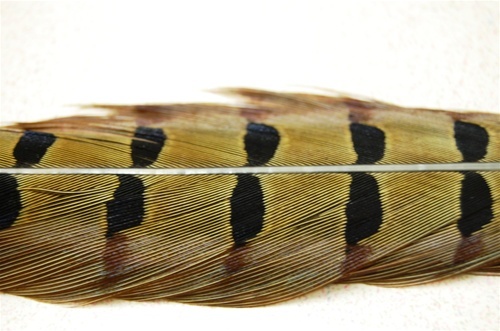 Commonly seen in Robin Hood caps. Can be used for many functions, for Hats, Costumes, Carnival, Mardi Gras. Sold by the PIECE. 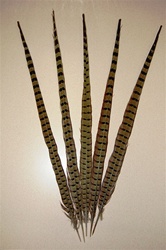 English Ringneck Pheasant Tails 12-14"
English Ringneck Pheasant Tails 18-20"